ts many types of senior living communities, but not every community is the best for your situation. Before you begin your process of looking at Fort Myers retirement communities, know what to look for when it comes to care, environment, staff, activities, and dining. Your search for a community begins with knowing your, or your loved one’s, needed level of care. If you aren’t sure if you need skilled nursing, memory care, assisted living, or independent living services, request an opinion from your doctor. Chronic medical conditions or strength concerns may lead to searching for assisted living, while a diagnosis of Alzheimer’s disease or other dementia could warrant searching for memory care options. If you are searching for assisted living communities, make sure that the apartments and campus encourage independence for seniors who reside there. For example, look for step-in showers and easily accessible outdoor areas. Also, be sure that there is an emergency pendant program or that the community has strategically placed pull cords that bring staff members immediately. These extra environmental factors can decrease your chance of falls and increase the chance that you will receive help quickly when you need it. Finally, check out other amenities such as a wellness center or shared socialization opportunities in community living rooms. For memory care communities, find one that has a calm atmosphere and that is designed for resident success. Staff members in memory care communities are required to be specially trained on the challenges of dementia. However, exceptional communities will go above and beyond the state-required training, focusing on positive interactions with residents. Finally, find a memory care community that is dedicated to fostering communication with family members, giving them appropriate updates on medical information as well as social interactions. Senior living community residents often benefit from the lifestyle that is offered on campus. For assisted living and memory care communities, this lifestyle should be an important part of your decision-making process. Make sure that there is an active event calendar, full of group activities, trips, and family nights, that you, or your loved one, would enjoy. Memory care communities should feature an active calendar as well but should also have plenty of things for residents to do on their own, throughout the day. Dining is an important part of the day for assisted living and memory care residents. Make sure that the community you are investigating has healthy food options and accommodates medically recommended diets. There should be choice throughout each part of the dining experience, and residents should be encouraged to interact socially with one another during their time around the table. For memory care residents, the dining experience should be ability-based and foster a calm atmosphere. 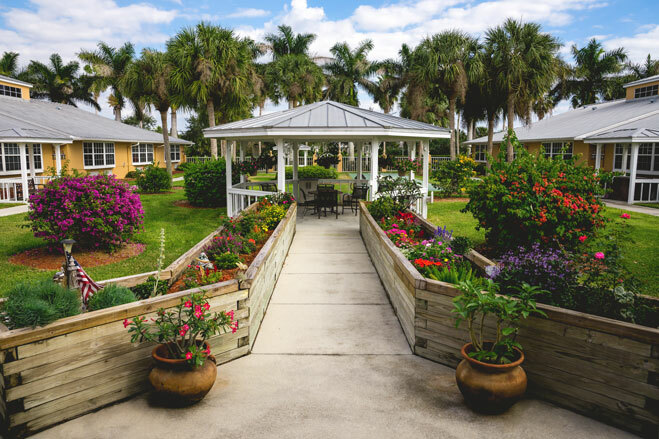 For state-of-the-art assisted living and memory care communities that are designed for the residents, look no further than Barrington Terrace Fort Myers. Learn more about Barrington Terrace Fort Myers and discover how we can care for you, or your loved one, while offering a healthy lifestyle and engaging experience.